Home Entertainment Disney At my house everything has to be Snow White! At my house everything has to be Snow White! 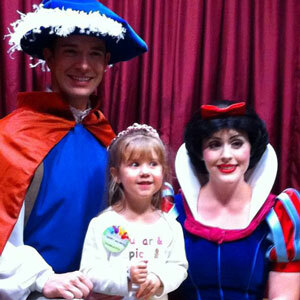 My daughter is a Snow White fanatic to say the very least. It all started last year when Halloween was approaching. She wanted to be Snow White so off we went to the Disney Store for the dress, shoes, headband, purse and wand. She was so cute and couldn’t wait for Halloween she needed to wear that dress everyday ALL day…I should have known then this would turn into a problem. I shouldn’t say its a problem really but she’s obsessed with Snow White and everything she wants to wear needs to have Snow White on it. The selection of Snow White items is limited so I have to search and search to find something with her on it. Apparently, she is the least popular princess so that’s why the selection is limited. You can bet if I find something I buy it and so does my husband, sister and mother! I guess we have become obsessed with it as well. It’s a year later, Halloween is approaching again and guess what she wants to be? Snow White again…time to buy the bigger size! At least I have all the other accessories to go with it. Since we were looking for Snow White we didn’t need to take along our list of Disney Princesses. Little does she know that we are going to Mickey’s Not So Scary Halloween Party on Halloween so not only will she be dressed like Snow White, she will get to see Snow White! This past year when we went to Disney World, we visited the Princesses and as a bonus Prince Charming was there! She loved that! When we go to the salon to get her hair cut, she asks for her hair to be cut like Snow White’s hair. The first time it happened I got this deer in the headlights look. I had to explain to them that she needed it cut and that we needed to play it up that she looked like Snow White, whatever it takes to have a 3 year old sit still for a haircut!